Police have arrested four people in connection with drug offences following a seizure of cannabis in Bury St Edmunds. On Thursday 31 January during the afternoon officers from the Scorpion team executed a warrant at a property at St. Peters Court where they found a male located in the premises. A subsequent search of the property resulted in the recovery of evidence of drug dealing, primarily cannabis. At the address, officers also recovered a significant quantity of large, empty packaging bags, suspected to be used in the importation and supply of drugs. Officers also located a large box that, following careful forensic examination, was found to contain a number of large vacuum sealed bags containing cannabis worth in the region of £40,000 to £50,000. A 23 year old man was arrested at the premises on suspicion of being concerned in the supply of class ‘B’ controlled drugs, cannabis and taken to Bury St Edmunds Police investigation Centre for questioning. He was later released under investigation pending further enquiries. 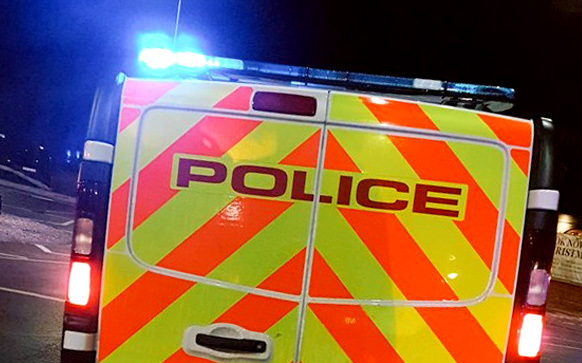 A 20 year old man was also arrested on Friday 1 February on suspicion of being concerned in the supply of class ‘B’ controlled drugs and taken to Bury St Edmunds Police investigation Centre for questioning. He was released on police bail to return on Wednesday 27 February. A 20 year old woman was also arrested on Friday 1 February on suspicion of being concerned in the supply of class ‘B’ controlled drugs and taken to Bury St Edmunds Police investigation Centre for questioning and later released under investigation. A 73 year old female from Bury St Edmunds was also arrested on Friday 1 February on suspicion of money laundering and taken to Bury St Edmunds Police investigation Centre for questioning and also later released under investigation. Anyone who witnessed any suspicious activity in the area or has knowledge of the incident is asked to contact Bury St Edmunds police on 101, quoting crime reference 37/6212/19. Anyone who has information about drug use in their community is asked to contact their local policing team on 101 or alternatively, contact the independent charity Crimestoppers 100% anonymously on 0800 555 111 or via their anonymous online form at crimestoppers-uk.org.